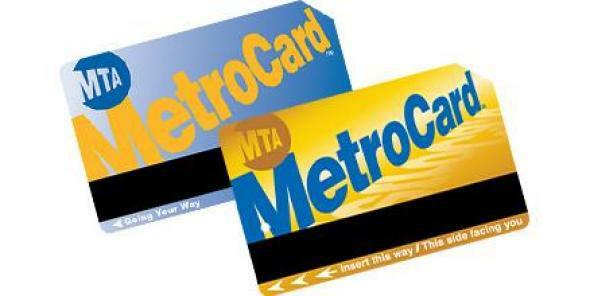 New York's MetroCard turns 20: MTA to ditch it for smartphone apps, credit cards. New York Wants to Get Rid of Subway Cards. It’s About Time. A 20-year-old technology whose best days are behind it. New York City officials are celebrating the 20th birthday of the MetroCard this week by calling for its demise. The idea is to replace the iconic yellow-and-blue cards by 2019 with various ways for customers to pay by tapping or waving their own credit cards, smartphones, or other RFID- or NFC-enabled devices. As plans go, that’s a little nebulous, but I suspect that’s on purpose: The city doesn’t want to commit itself to one technology today when a new one might come along tomorrow. The benefits of ditching magnetic-stripe subway cards are clear enough: The move would save the MTA money by allowing it to ditch all those card-vending machines. It would get people onto buses and trains faster, because they wouldn’t have to waste time dipping their cards into a machine or repeatedly swiping them at a turnstile. Few New Yorkers would miss the experience of standing behind a beleaguered flock of tourists as they struggle to master the precise swiping motion necessary to get a finicky card reader to let them through. And presumably you’d no longer need multiple different cards for the subway and commuter trains—your card or device would figure out whom to pay on its own. On the other hand, opportunistic thieves might salivate at the prospect of hordes of commuters having to wave their credit cards and smartphones around every time they want to ride a train or hop a bus. More broadly, it will be interesting to see whether moves like this by public agencies will give NFC and RFID technology the push it needs to go mainstream in other realms, like paying for things at coffee shops and retail stores. Private-sector pay-by-smartphone schemes, like Google Wallet, have struggled to get off the ground, perhaps partly because people aren’t yet comfortable with the concept. But if cities like New York force millions of people to do it every day in order to get on the subway, that could change in a hurry. Then again, government agencies and “change in a hurry” tend not to go hand in hand, and “by 2019” isn’t exactly the most ambitious timetable. It’s quite possible that by then people will already be paying for everything with their smartphones—or with something else entirely, like Coin—and New York City’s switch will seem long overdue. *Clarification: This article originally cited Newsday as the source of the MTA board member’s quote. It was in fact published first on amNewYork.